You’ll not want to miss this FREE event. 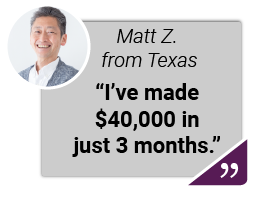 And you’ll discover an obscure technique that can pay you income ranging from $840… $4,540…and even as much as $10,600 on a weekly basis. 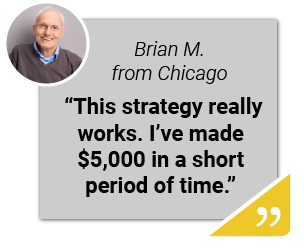 This is so easy that anyone can do it… even if you never invested before. 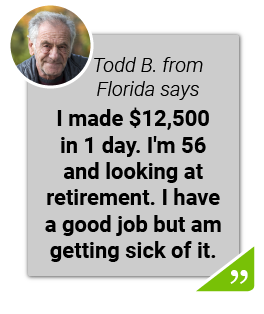 You just click your mouse once a week… and when the trade ends inside what Robert calls “the cash flow zone,” you get paid. That means you can make money regardless if stocks go up, down or sideways. 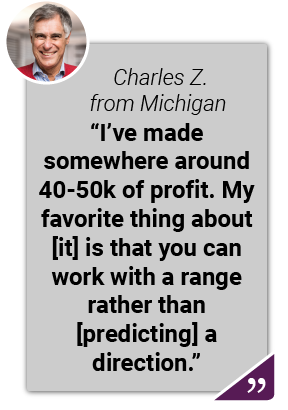 That’s why these are very high probability trades, higher than 90% in some cases… which is unheard of in the investment world. And if you think that sounds too good to be true, you should know we found a ton of stories of everyday folks who are already cashing in. You can see some of their stories popping up on your screen right now! Or any other income strategy you might have heard before. How you can click your mouse once a week and get paid $1,000s… regardless if stocks go up, down or sideways. Why this obscure technique can have probability of success as high as in the 90% range. The shocking reason why you’ll never hear about this weekly cash flow strategy from Wall Street or the mainstream media. How this technique could help you make TWENTY SIX TIMES more money than just “buying and holding” stocks…without taking additional risks. We’ve never seen a way to make money every week with a click of a mouse. We could easily sell out tickets for this event for $525 per person. 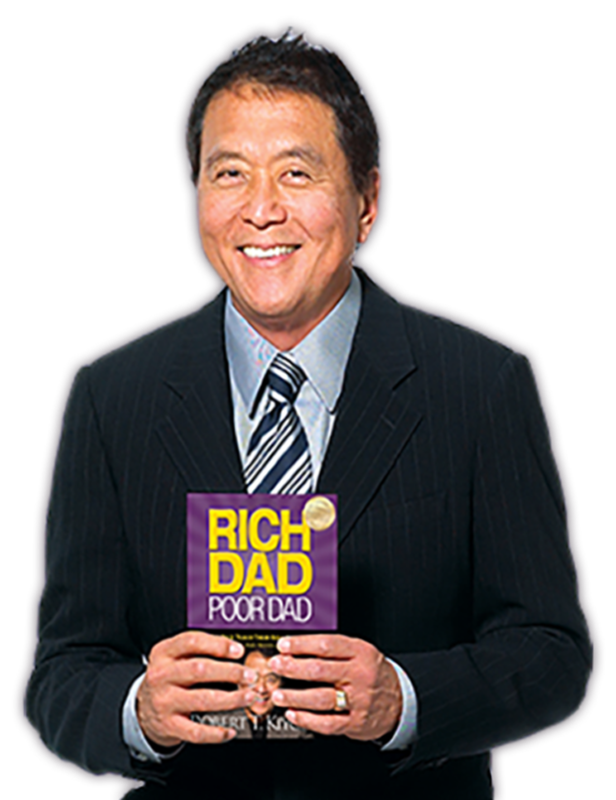 But we’ve secured an exclusive deal with Robert Kiyosaki that allows you to attend in the comfort of your own home, online, for free. We anticipate thousands of people will reserve their spot. If you don’t secure your spot right now, you’ll be left out. Simply sign up below to get access. And we’ll go live on Wednesday, November 14 at 1:00 p.m. EST.